Get all 11 insta-kits Regularly $131.45 for only $89.95 SAVE over $40!! Order today! • You get 110 of our Best Articles plus Bonus Features organized to get you started. • No need to download and printout. • Comes in a folder for E-Z use. -You Get- 1. Endurance Introduction	2. On-Field Ball Skills Endurance	3. With / Without Ball Endurance Training 4. Speed Introduction	5. Soccer Speed with the Ball 6. Soccer Speed without the Ball 7. Lateral Speed/Agility 8. Strength Introduction 9. In-Weight Room Strength Training 10. Soccer Performance Kicking 11. 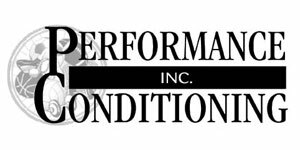 Soccer Conditioning Circuits Each kit contains 10 of our best articles most with a bonus feature.